Subscribe to the "Understanding Cement" Newsletter! Cembytes is our free Newsletter - subscribe and get regular updates on our new web pages, blog posts, books/ebooks and other news. Just enter your first name and email in the box at the end of this page. Cembytes will usually be sent out monthly. You can cancel your subscription anytime you want. New ebook: "Low Concrete Strength? 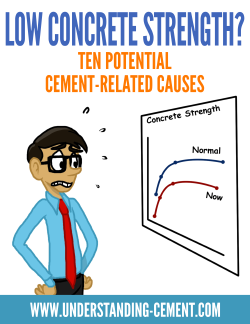 Ten Potential Cement-Related Causes"
This illustrated ebook is a checklist of some of the main causes of cement-related low strength in concrete or mortar. 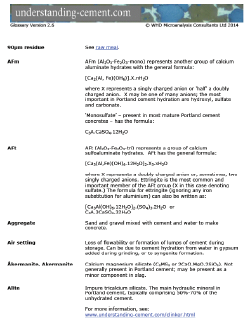 Glossary of over 100 cement-related definitions and chemical formulae. 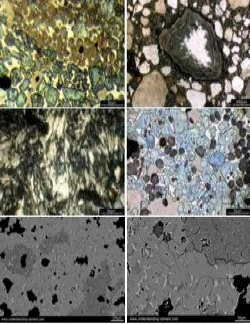 Six microscope images of clinker and concrete that you can use as desktop/tablet or screensaver images. You can unsubscribe any time you want by clicking on the "unsubscribe" link in the Newsletter. NB: If you cannot see the blue and grey signup form below, it is probably because your browser is blocking it. Try disabling any add-ons you may have installed (eg: DuckDuckGo Privacy Essentials blocks the form for some strange reason).